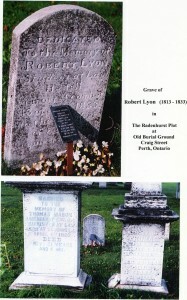 With his older brother, Captain George Lyon, well established in the military settlement of Richmond and holding considerable influence in the region through personal and political connections, Robert Lyon had been encouraged to come to Canada in the summer of 1829 accompanied by his sister Margaret Lyon (b. June 28, 1805). 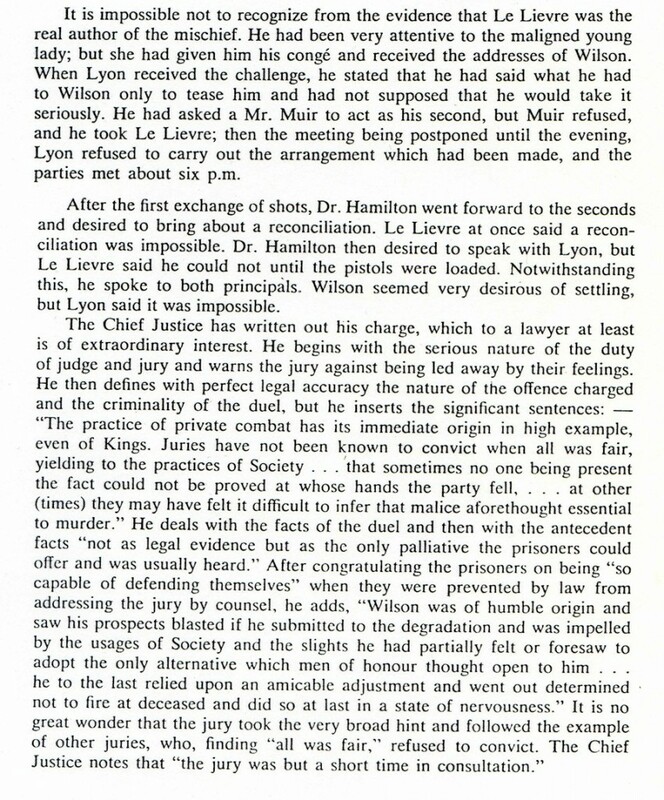 Robert had been a student for three sessions in the class of 1826 – 1830 at King’s College, Aberdeen. 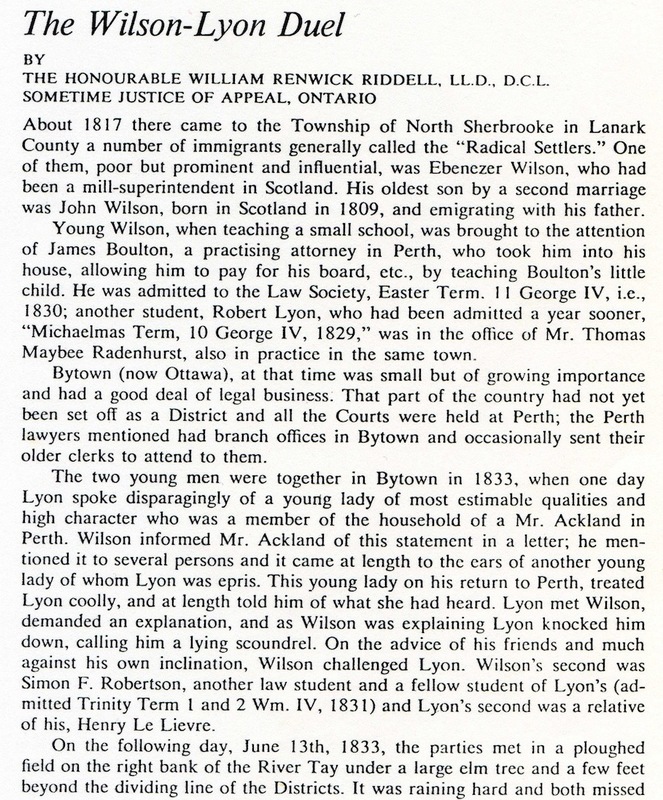 With this background, he was qualified to secure a law apprenticeship with Thomas M. Radenhurst, lawyer, in Perth. 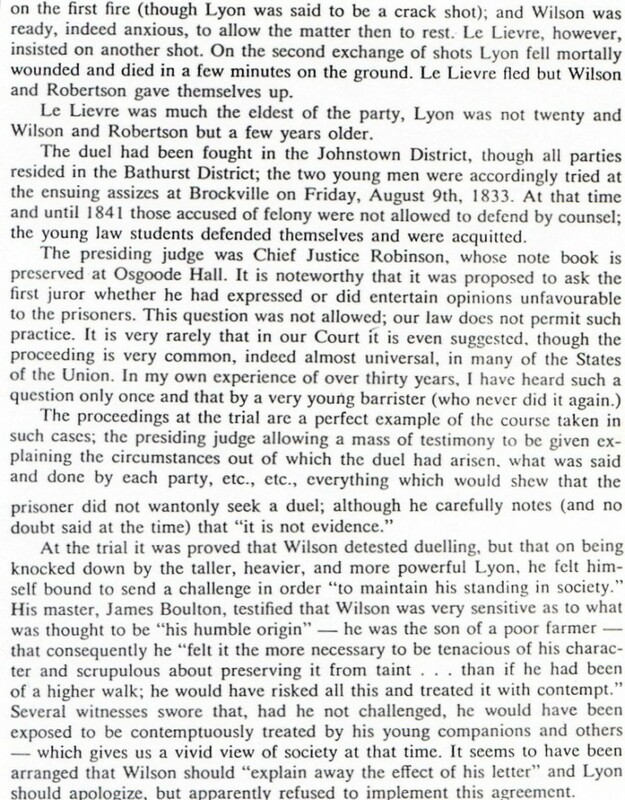 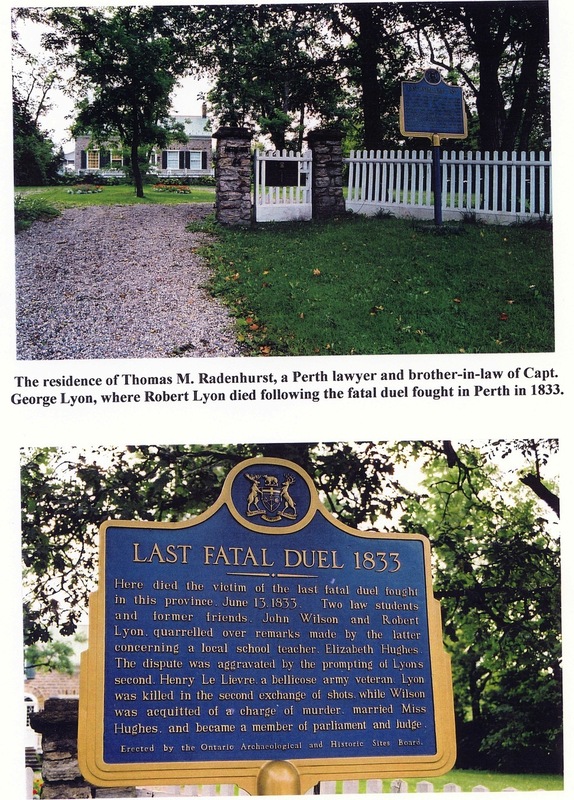 Radenhurst was the brother-in-law of Robert’s brother, Captain George Lyon. 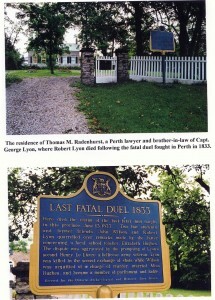 Within four years, Robert had made his small contribution to Canadian history, for he was the Robert Lyon who was allegedly the last person to be killed in a duel on Canadian soil, at Perth, in the then Bathurst District, June 13, 1833.